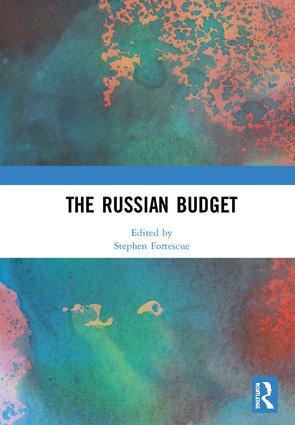 The Russian budget process has received little detailed attention in academic literature. Here various key aspects of the formation of the federal budget, largely since Vladimir Putin began his third presidential term in 2012, are examined. It is primarily the writing of the expenditure side of the budget which is described, that is, how it is decided how much money is spent on what. While ample information is provided on budgetary outcomes, the focus is on the process: the issues faced by budget makers, the actors and institutions involved, and the formal and informal procedures that lead to outcomes. It is not the task of the volume to provide an analysis of the wisdom or effectiveness of particular budget allocations; its goal is to provide some judgement on the effectiveness of the process. Chapters are offered on the budgetary process as it relates to the two main claimants on federal budget funding, the social and defence sectors. Three chapters then examine the major locations of budgetary policy-making: the executive (at presidential and cabinet of ministers levels), the Duma, and the expert community. This book was originally published as a special issue of Post-Communist Economies. Stephen Fortescue is an Honorary Associate Professor at the University of New South Wales, Australia, and a Visiting Fellow in the Centre for European Studies at the Australian National University. He is a specialist on the Russian policy-making process, particularly as it relates to economic policy.